Friday night was another special awards presention evening. We welcomed the Cub Leaders to present four Grey Wolf awards to ex-cubs who are now in the Scout Section. We bravely entered the jungle to see Elena, Kate, Riley and Tom receive the awards they worked hard to achieve. 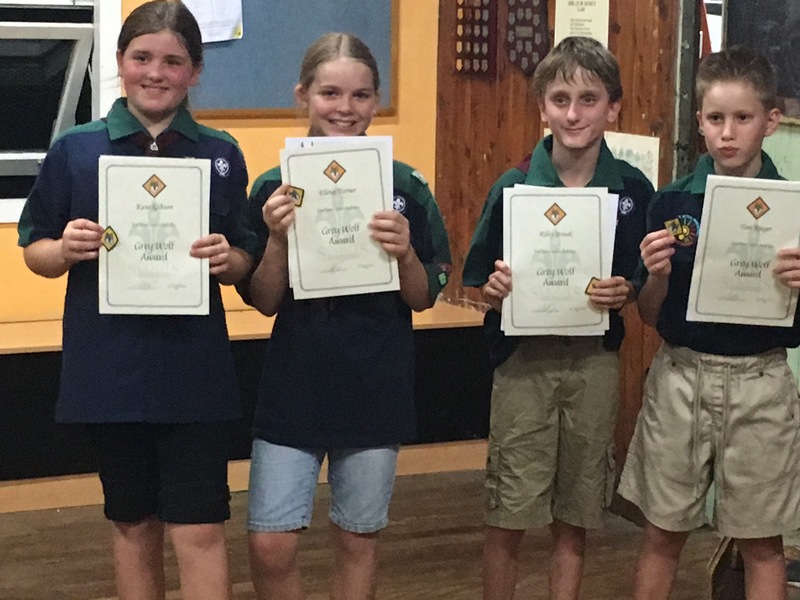 Bravo to you all for achieving the highest award in Cub Scouts.